The Occupational Level 1 First Aid Training is the only legally required Level of First Aid Training, and therefor undergoes regular amendments. Due to its very practical nature this Training has proven to be a highly powerful Emergency Program as well as an excellent Team Builder. This First Aid Training is designed for Parents, Teachers, Childminders, Au-Pairs, and everyone else dealing with children younger than 7 years. Due to the ever growing demand for advanced First Aid Treatment and Training we have expanded our training portfolio with this exciting new workshop. First Aid Training is a legal requirement and a vital component of OSH Act compliancy for all companies and employers in South Africa. The Occupational Health & Safety Act stipulates very clearly the necessity, the amount and the degree of training required. In the likely case of an audit by the Department of Labour, accredited and valid certificates must be produced in order not to be penalized. 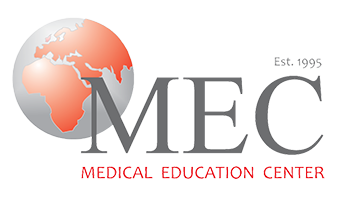 The Medical Education Center offers first aid training on a very regular basis, at very competitive rates. Each month we run in excess of 60 such classes, some at the client’s premises, others at ours. Our facilitators travel all over South Africa to satisfy the needs of our ever growing clientele, and to assist in their quest for OSH Act compliancy. Training is offered in English, Afrikaans, as well as in a variety of African languages. All of the above allows for maximum flexibility and therefore maximum client benefit. Our courses are aligned to existing SAQA unit standards, they are in line with the guidelines of the Resuscitation Council of Southern Africa, and are fully accredited by the Department of Labour. Delegates are presented with a very detailed First Aid Handbook, an Emergency Key Ring, as well as a First Aid Starter Kit. Successful delegates will also be issued with the accredited 3 year Certificate. Contact us in order to book your seat on one of our public courses, or to book a date for you company’s In-House Training.